Much work goes into our convention. Help is needed and greatly appreciated. 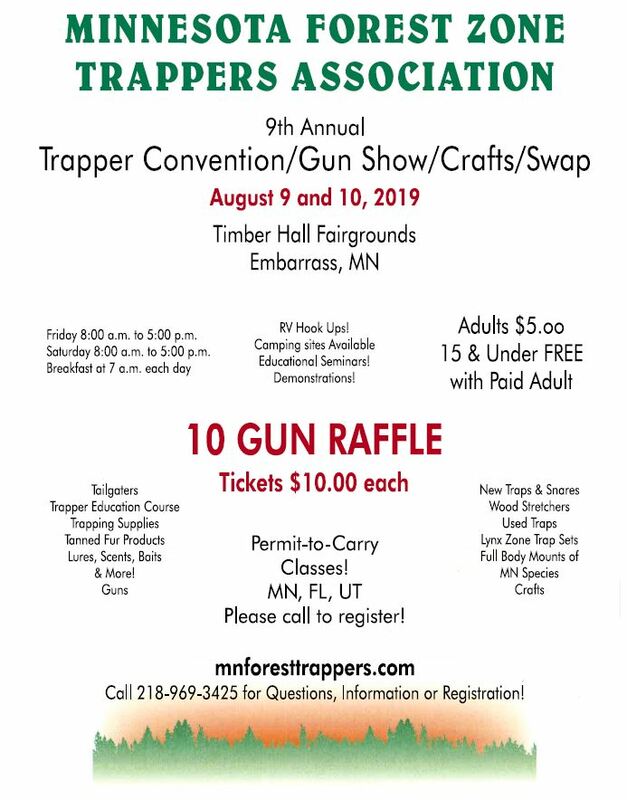 Please volunteer for Gate Duty, Set-up and TakeDown, Sitting in our booth and helping with memberships and Gun Raffle Tickets, Kitchen Help. Also, anyone interested in putting on a demo, Please Contact Ray Sogard (218)969-3425.